I was browsing through the work of the Sketchnote Army a while back and found a sketch that I particularly liked, largely because of the variation in the fonts that the artist used to distinguish between different ideas. I realized that my own versatility with fonts was lacking, so I thought I would dedicate a week’s worth of Visual Vocabulary to the development of my typography skills. I’ve got a long way to go, but I’m glad to have branched out from my typical writing style. This week I have focused on title fonts, which are generally used once per sketch to let the audience know the topic of the sketch. 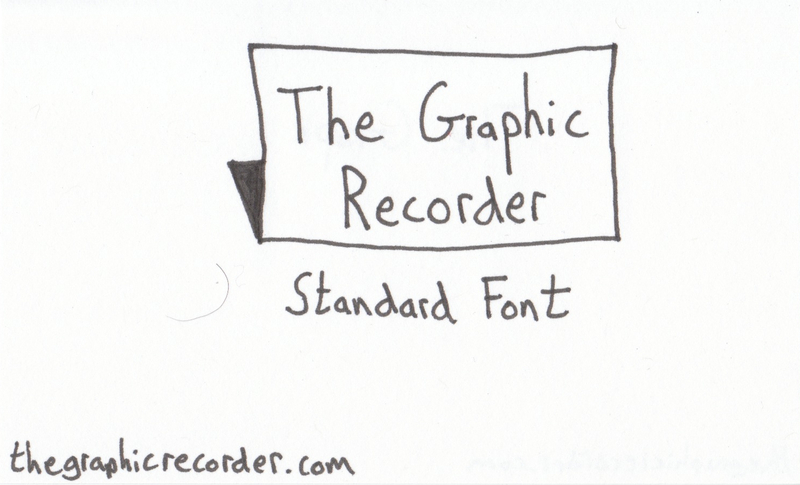 I have given each font a name – some of which are standard, others my own. Eventually I would like to take a more formal look at typography, but for now imitating fonts that I like and coming up with my own names for them will work just fine. Below you will see sketches for a standard font, bubble font, raised font, cursive font, and serif font. In the sketch above you will see a simple standard font with a rectangular, shaded frame. 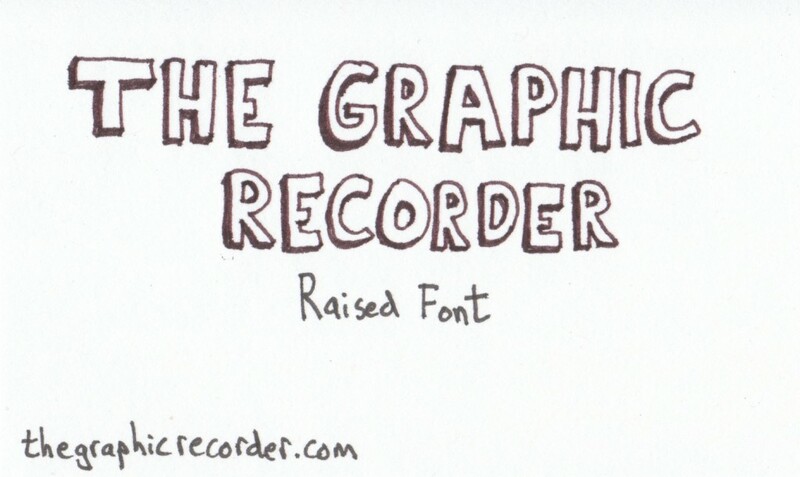 This was my go-to title font when I first started sketchnoting because it is quick and easy, and it still looks good. As an example of how I have used this font, check out a sketch that I did while attending a conference on multicultural education. 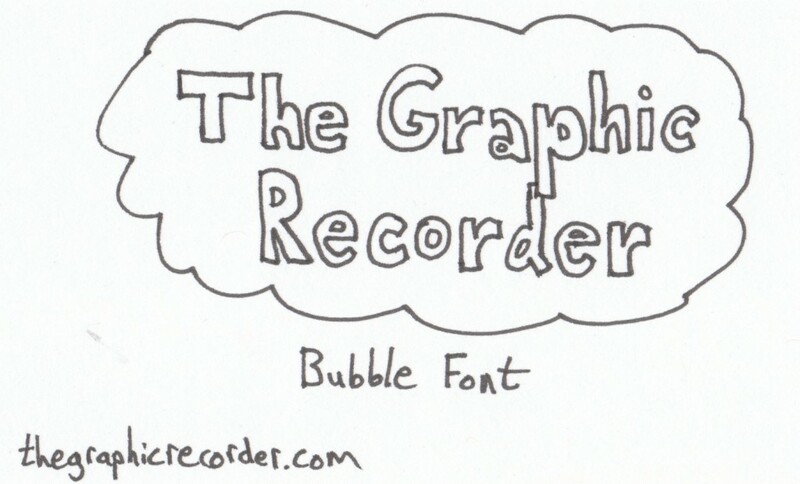 The bubble font above with a cloud frame gives a lighter feel to a sketch, which likely won’t be appropriate for all situations, but could work well in particular cases. I have not used used this specific combination for a title of any of my sketchnotes, but I have used the bubble font alone to highlight the key players discussed in the keynote address of the same education conference that I mentioned earlier. The raised font above is my favorite new font. I like that it doesn’t even need a frame to stand out – it is already clear that the ideas written in that font are important. My shading is still a bit sloppy and inconsistent, but I think it turned out well in this sketch that captures one of the messages from Gretchen Reynold’s new book on exercise. 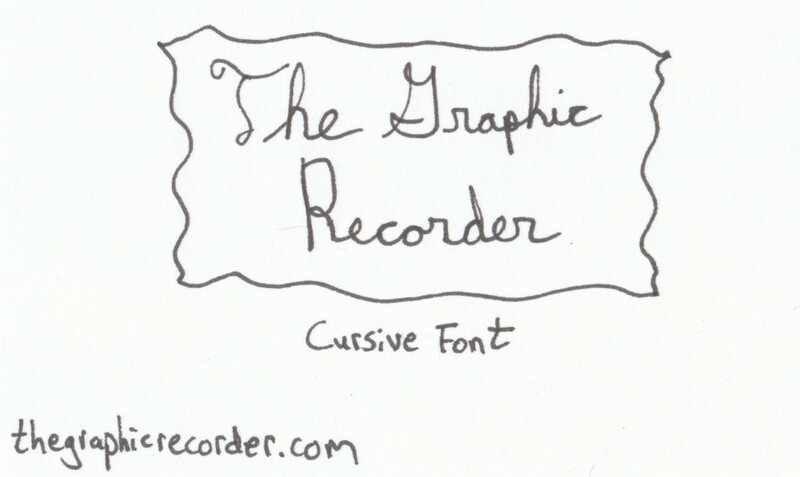 During my search for new fonts, I was surprised to find how much I enjoyed returning to cursive writing. Though I think cursive is most appropriate for longer strings of text (quotes in particular), there are times when it will be useful as a title font. I have yet to use this font in a sketch, but I’m glad to have it at hand in case I have an opportunity to use it. This serif font is my second favorite new font. Using it is a bit more time consuming than the others shown in this post, but if you do have the time, it is worth it. The frame is reminiscent of cast-iron signs (or at least my mental image of those signs), which seem to compliment the style of this font well. I have yet to use this frame in a sketch, but I have used the serif font in an early sketch of mine on the introduction to William Zinsser’s On Writing Well. 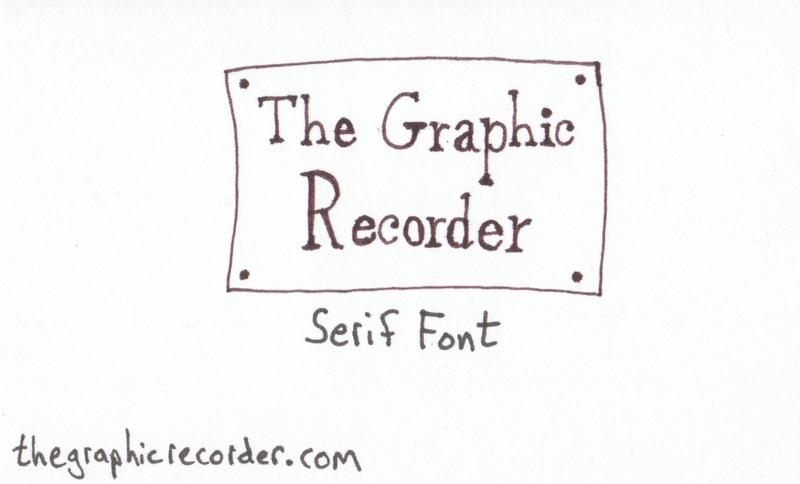 In addition to giving these fonts a try, I encourage you to frequent the Sketchnote Army site and search for other components that you would like to incorporate into your own work. To check out some other sketchnoting resources that I have developed, as well as outside resources that I recommend, head over to the Visual Note Taking Resources page.